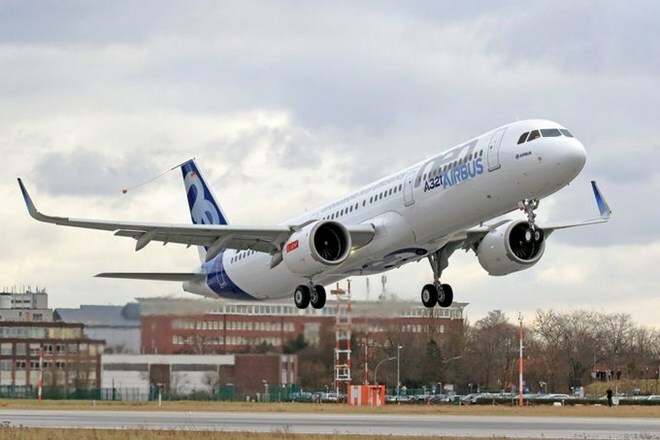 The Vietnam Aviation Corporation (Vietnam Airlines) said on February 15 that it has inked a contract with Aviation Capital Group (ACG) to lease six Airbus A321neo planes in the long term. The newly rented are among the 20 A321neo aircraft that the national flag carrier plans to lease. They are set to be delivered to Vietnam Airlines in 2018 and 2019 to serve domestic and regional air routes. The firm said it is modernising its fleet by prioritising environmentally friendly planes with high economic benefits. Vietnam Airlines General Director Duong Tri Thanh said the deal with ACG is part of their commitment to providing passengers with high-quality services. A321s are the flagship aircraft of his corporation and have proved effective on its domestic and short-range regional routes. A321neo is a new edition of A321 planes – the largest member of Airbus’s A320 family. Meanwhile, Vietnam Airlines also plans to sell or lease back four new aircraft which it will receive in 2017 to ease the pressure on the due-debt-over-ownership-capital ratio and boost liquidity. Aircraft to be sold or leased back include one Boeing B787-9 and three Airbus A350. As of December 31, 2016, Vietnam Airlines owned a fleet of 86 aircraft with an average age of 5.7 years.